We have been learning all about birds this term as part of National Bird Week and were very lucky to have a special visit from the Owl Sanctuary and got to hold an Owl. We made our own binoculars and went outside to look for different birds, we also made some bird feeders out of bagels, lard and seed too and hung them out . 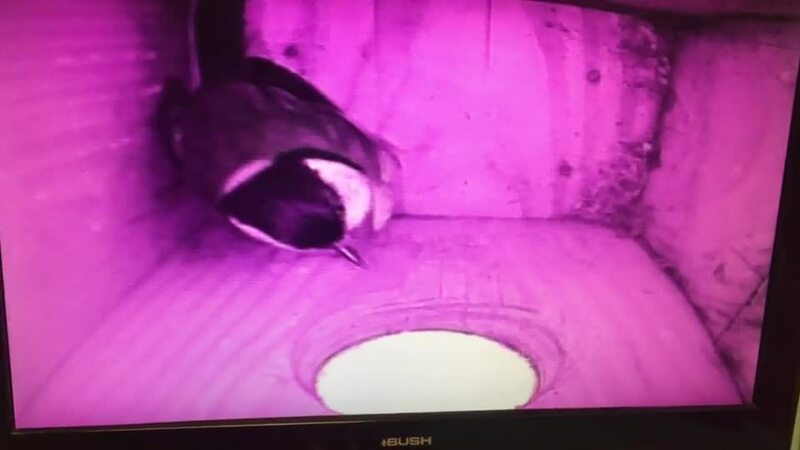 We also have our very own bird box and are watching the bird build its nest, we can`t wait to see the eggs hatch. Since returning to Nursery after Christmas we came into a frozen classroom, we had different challenges. The Arctic animals were frozen in ice and we had to try and get them out by melting the ice with warm water and salt, we tried painting with frozen paint and we made our own snow for the animals and tried getting the frozen paper clips out of the icy water with magnets. We had lots of fun. 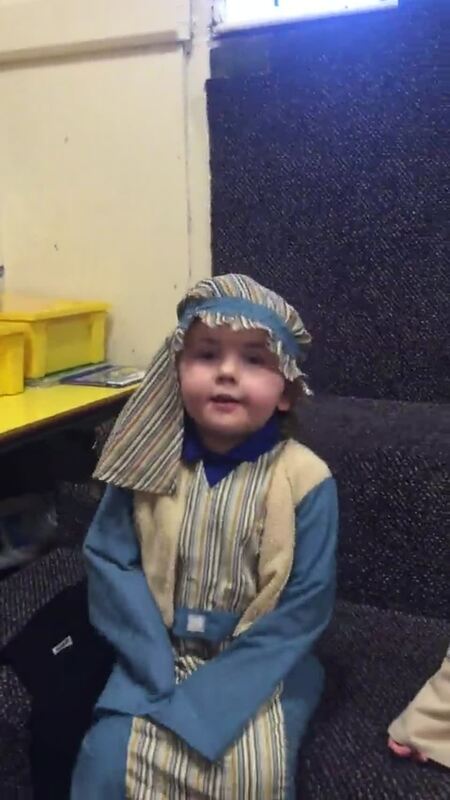 We have had lots of fun learning new songs for Little Lambs Nativity and acting out the Christmas story. Everyone has settled in really well and have all made new friends. This half term we have been looking at autumn and spending time outside. We enjoy wrapping up in our all in one suits and going out in all weather. Reading is very important in our nursery. On a Monday someone is chosen to bring in our book of the week. We look at this book and theme our work around it. On the Friday the story is read to us by one of the parents. "We love our special story time!" The children are enjoying daily mark making activities. We give opportunities for mark making in all areas of the classroom and also outside. Below are some pictures of the fun we have had so far.